Tom Cooper is an award-winning broker with more than 16 years of industry experience. He was drawn to Manhattan real estate largely because of his enthusiasm for New York City, particularly its historic, architectural and cultural roots. He has been a downtown homeowner for nearly 20 years, and has recently served on the Board of Trustees for the Greenwich Village Society for Historic Preservation. Tom is a native Californian and moved to Manhattan in 1999 from San Francisco. He has been a Manhattan real estate broker since 2002, following prior experiences in public relations, marketing, and government. Tom specializes in the sales of cooperatives, condominiums and townhomes throughout Manhattan, particularly downtown. As the owner of two Chelsea co-ops since 1999, Tom has firsthand experience as an investor in the local market, and possesses an intuitive understanding of a real estate transaction’s many moving parts from his clients’ point of view. 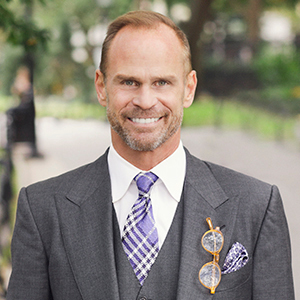 His judgment and experience have helped hundreds of buyers and sellers navigate the (often non-intuitive) New York City real estate transaction process, and he has earned a reputation for working effectively and creatively with fellow brokers, real estate attorneys and mortgage professionals to ensure a transaction’s success. Tom is a graduate of the University of California, Berkeley.